Kerala is an Indian state located on the Malabar Coast of south-west India. It was created on 1 November 1956 by the States Reorganisation Act, and it combined various Malayalam speaking regions. The state has an area of 38,863 km and is bordered by Karnataka to the north and northeast, Tamil Nadu to the south and southeast and the Arabian Sea. towards the west. Thiruvananthapuram is the capital city. Kochi and Kozhikode are other major cities. As per a survey by The Economic Times, five out of ten best cities to live in India are located in Kerala. Kerala is one of the most popular tourist destinations in India. Its unique culture and traditions, coupled with its varied demographics, has made Kerala one of the most popular tourist destinations in the world. National Geographic’s Traveller magazine names Kerala as one of the “ten paradises of the world” and “50 must see destinations of a lifetime”. Travel and Leisure names Kerala as “One of the 100 great trips for the 21st century”. Until the early 1980s, Kerala was a relatively unknown destination; most tourist circuits focused on North India. Aggressive marketing campaigns launched by the KTDC, the government agency that oversees tourism prospects of the state, laid the foundation for the growth of the tourism industry. In the decades that followed, Kerala’s tourism industry was able to transform the state into one of the niche holiday destinations in India. The tagline Kerala-God’s Own Country has been widely used in Kerala’s tourism promotions and soon became synonymous with the state. 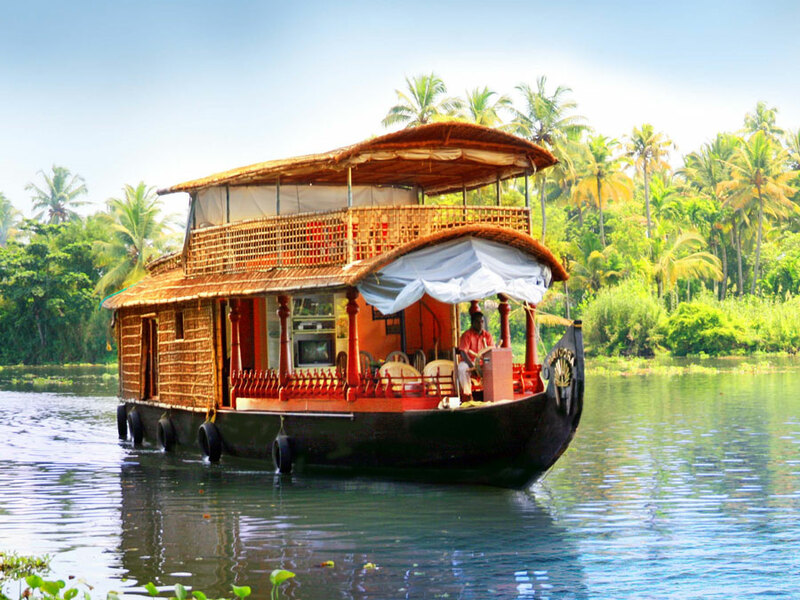 In 2006, Kerala attracted 8.5 million tourist arrivals, an increase of 23.68% over the previous year, making the state one of the fastest-growing destinations in the world. Kerala’s culture is derived from both a Tamil-heritage region known as Tamilakam and southern coastal Karnataka. Later, Kerala’s culture was elaborated upon through centuries of contact with neighboring and overseas cultures. Native performing arts include koodiyattam (a 2000-year-old Sanskrit theatre tradition, officially recognised by UNESCO as a Masterpiece of the Oral and Intangible Heritage of Humanity,kathakali—from katha (“story”) and kali (“performance”)—and its offshoot Kerala natanam, Kaliyattam -(North Malabar special), koothu (akin to stand-up comedy),mohiniaattam (“dance of the enchantress”), Theyyam, thullal NS padayani. Kathakali and Mohiniattam are widely recognized Indian Classical Dance traditions from Kerala.